Home » computer optimizer » Choosing defencebyte Computer Optimizer can help in amplifying system speed ! * Is your PC working sluggishly? * Are you unable to boost up your system speed? * Is there any unexpected issue in performing various tasks on your PC? Well, these are some of the questions that can arise while doing any important task on a computer. We always need a computer to accomplish our day-to-day tasks productively. Any sort of disturbance or setback with a PC can affect our important project, newly started blog, or even our performance in the upcoming examinations. We at every point, need a PC to accomplish our tasks. But! Now all these issues can get resolved by opting for the excellent Computer Optimizer Software from defencebyte. The software is one of the finest and any sort of a hindrance with a computer can get resolved quickly. Using Google Chrome takes up more memory. More memory consumption can lead to a slow computer. How a Computer Optimizer by defencebyte can help in speeding up your PC? 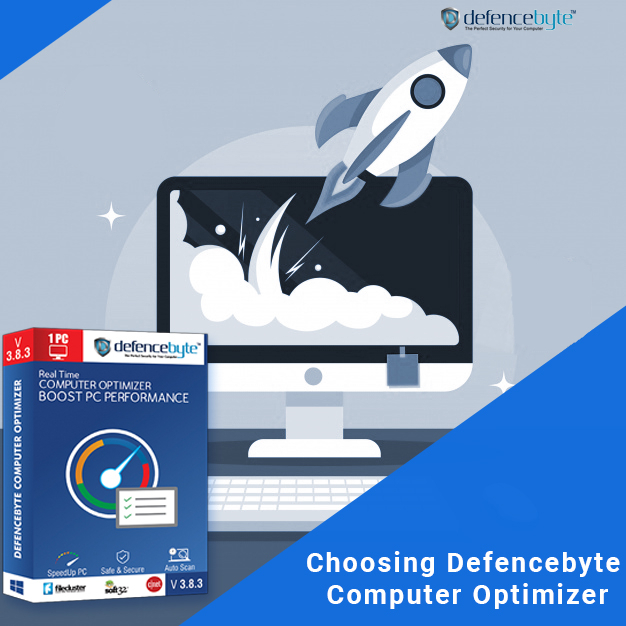 If you are looking for a computer optimizer for free then the good news is that selecting defencebyte Computer Optimizer entitles you for a free trial version for few days after which you can purchase the product with few simple steps, once you are satisfied to the utmost. It can help in amplifying the speed of a PC incredibly. Encapsulating the excellent tools and features, this software plays a smart game. On the other hand, fortifying the speed of a computer by performing certain steps can prove to be beneficial for a user. The first and foremost thing a Computer Optimizer can do is to clean up a computer’s registry. This comes up to be the main reason for a PC to slow down. Remarkably cleaning the computer can result in better results and productivity. So, this is the reason why opting for a registry cleanup is necessary. With the help of the effective computer optimizer, users can help their computer to remain free from the unnecessary files and folders. These can create a mess and can be quite problematic for the PC to do its tasks. 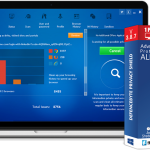 This software helps in eradicating any sort of issue that can take place with a computer. These issues can spurt up more miserable situations for the users of the PC. So, all in all, it is important to buy a reliable software that can be helpful in many ways. Well, this is another big reason for a computer to slow down. Malware comes up to be the biggest reason for a PC to act differently. Eradicating it out of the computer can be fruitful, so make sure you do not have any malware there that can strike anytime. A computer optimizer can not only help in eliminating the errors out of the system but can also help in lifting up the performance of a PC. If you want to work on an error-free computer, just make sure that you have that needed panacea to settle things at your end. So, whenever there is any sort of difficulty in operating your PC, just do not fret and make use of the best software to attain quick fixes. Else, users can also choose Computer Optimizer Software to receive a trouble-free computer. «How to Protect your privacy by cleaning your browsing history?